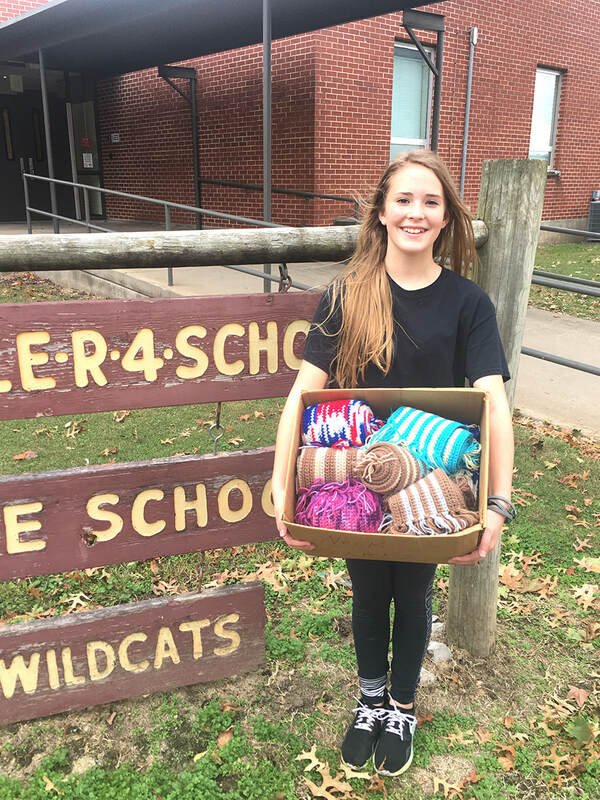 Cold winter months are ahead and Cassville eighth grade student, Ava Lee, wanted to make this winter a little warmer for the residents at Roaring River Health and Rehab. Ava donated a box of scarves to the rehab center. Ava is the daughter of Danielle Rowden.